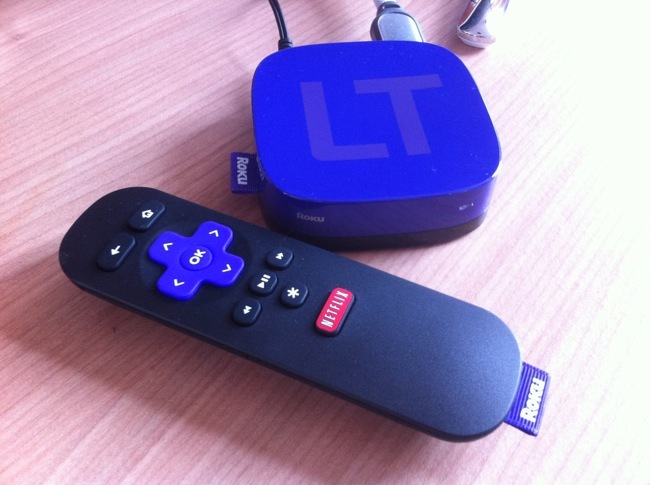 The Roku LT is a small internet connected streaming box which gives you access to a range of on-demand content. This purple box looks similar to an Apple TV and offers a similar set of functionality albeit at half the price for just £49.99. Setting up the Roku LT requires little more than power and a HDMI cable/ Connectivity comes in the form of WiFi, supporting 802.11 b/g/n. Those who prefer Ethernet will be disappointed as this is wireless only. First time users may find that they need to update the software before they can start using it, but otherwise this is a very straightforward and painless setup process. The black and purple remote is simple but usable. The D-Pad is where you’ll spend most of your time and the Roku LT makes light work of navigating through its menus, keyboard and features. It’s a good remote. Roku LT comes pre-loaded with Netflix so it’s ready for streaming straight out of the box. You can extend the Roku LT with more channels from the Channel Store with notable options such as iPlayer, Vimeo, Facebook and TED. 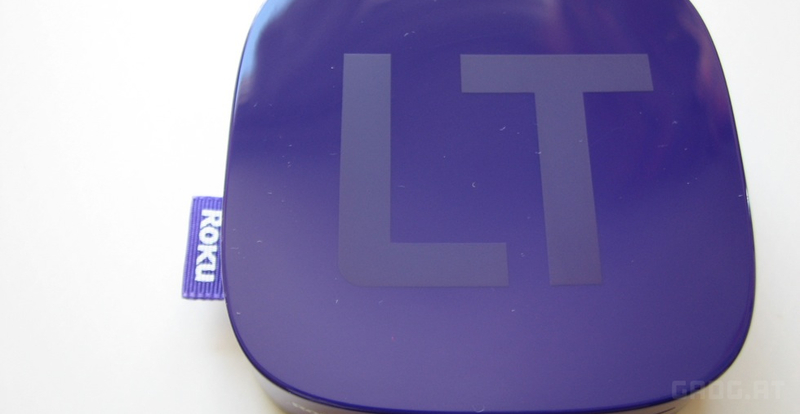 But it’s clear that to get the most out of the Roku LT, you’ll need a Netflix subscription. The worlds largest library of videos somehow got missed from the channel list – one wonders what happened to YouTube? On a 20Mbps connection over 802.11g (Roku LT supports 802.11 b/g/n), I didn’t experience any buffering whilst watching Netflix or iPlayer HD streams. 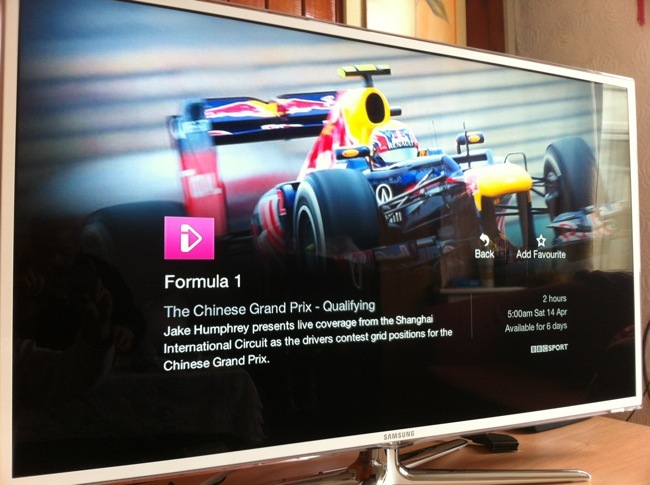 The quality of the iPlayer HD streams were impressive given that the Roku LT is limited to 720p. Even for your 40+ inch 1080p sets, you won’t be disappointed with the quality of the streamed HD content. 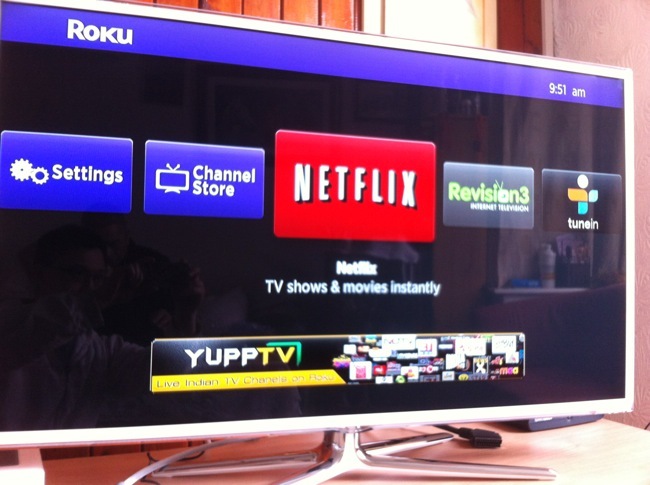 Roku has opened up the device enabling developers to add their own applications to the channel store. This has enabled applications like Plex to make its way to the Roku LT. Plex along with the Plex Media Server on your Mac, Windows or Linux computers will allow you to stream your media to the Roku LT. Whilst the interface on the Roku LT could be improved, I was able to access my music, photo and video library without much difficulty. The Roku LT is a delightfully simple streaming box that works straight out of the box and works beautifully with the Netflix store. For less than £50, this is a great option for giving those non-internet connected TVs access to a broad range of content stored locally or streamed directly from the internet.